Citation graphs representing a body of scientific literature convey measures of scholarly activity and productivity. 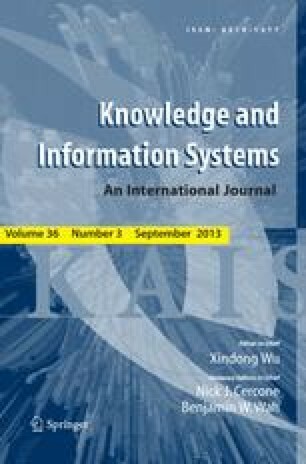 In this work we present a study of the structure of the citation graph of the computer science literature. Using a web robot we built several topic-specific citation graphs and their union graph from the digital library ResearchIndex. After verifying that the degree distributions follow a power law, we applied a series of graph theoretical algorithms to elicit an aggregate picture of the citation graph in terms of its connectivity. We discovered the existence of a single large weakly-connected and a single large biconnected component, and confirmed the expected lack of a large strongly-connected component. The large components remained even after removing the strongest authority nodes or the strongest hub nodes, indicating that such tight connectivity is widespread and does not depend on a small subset of important nodes. Finally, minimum cuts between authority papers of different areas did not result in a balanced partitioning of the graph into areas, pointing to the need for more sophisticated algorithms for clustering the graph.